BRYAN EATON/Staff photo. 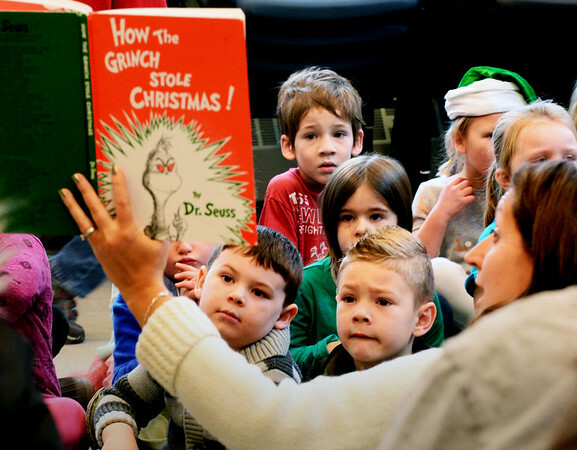 Amesbury Elementary School teacher Alexandra Nicols reads "How the Grinch Stole Christmas" to kindergartners while waiting for others to arrive. They were preparing to sing Christmas carols and seasonal songs at the Amesbury Senior Center.